Challenge Encountered. Adaptive Engaged. Problem Solved. As a trusted technology partner, Adaptive solves difficult problems to move our customers forward. Adaptive seeks to understand both the technical objectives and the business context in order to provide a solution path that works in the real world. Adaptive applies expertise from multiple technologies to build the right solution, combining the strengths of hardware, software and systems engineering expertise to deliver critical functions, quick prototypes, or complete products. Seeing complex problems from many perspectives enables Adaptive to optimize a winning technical solution around the customer’s objectives. Adaptive aligns technical strategies with business realities to create solutions that reflect our customer’s objectives. 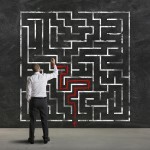 Creative approaches to business and technology help Adaptive chart a path to forward progress.